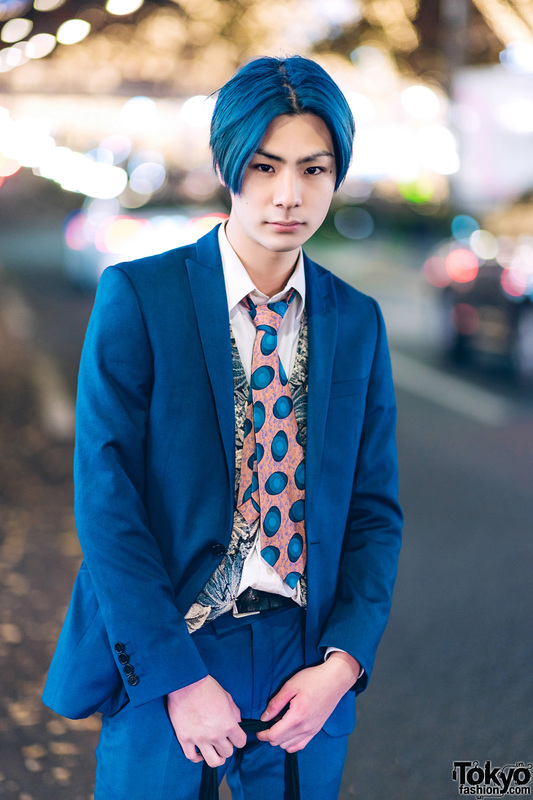 It was easy to spot 17-year-old student Kosei in Harajuku with his striking blue hair and matching blue suit. 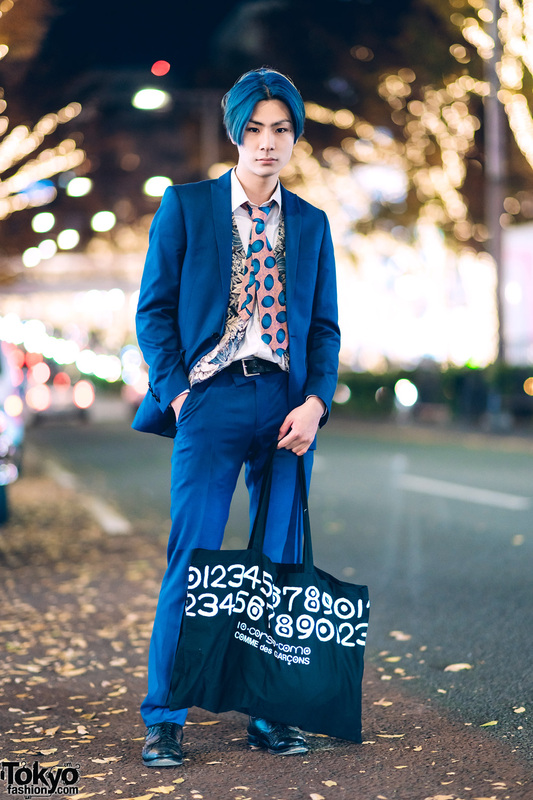 He stepped out in a crisp white shirt styled with a printed necktie from Comme des Garçons. 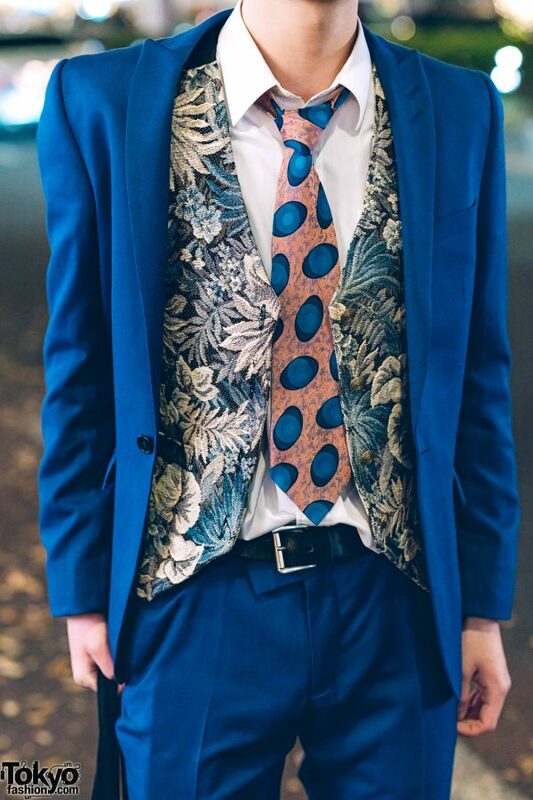 Kosei also wore a printed vest with a floral pattern and a blue blazer with a single button closure. 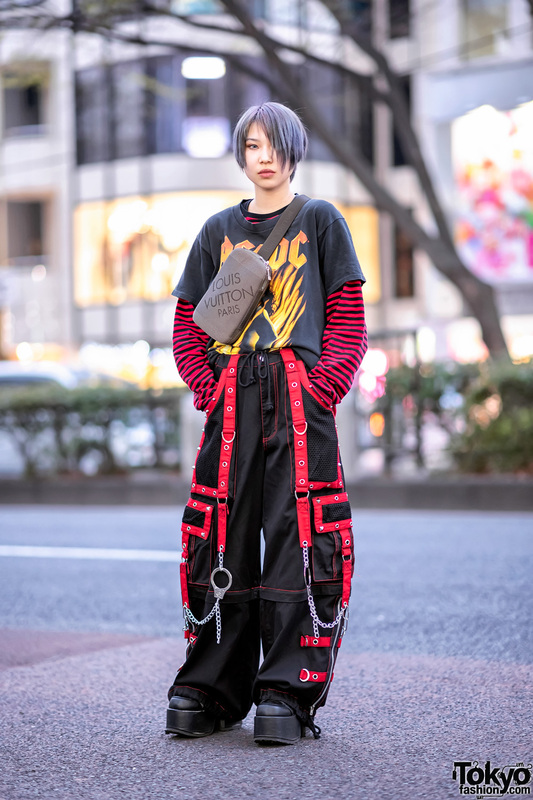 His shirt was tucked into blue pants cinched at the waist with a black belt. 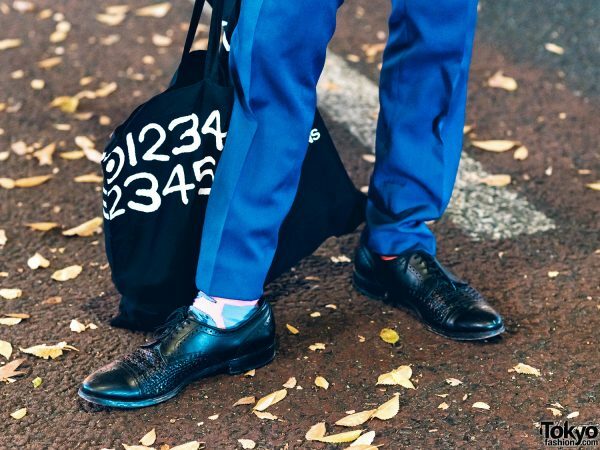 Kosei styled them with printed socks and black leather lace-up shoes from Allen Edmonds with perforated brogue styling and a closed weave pattern. 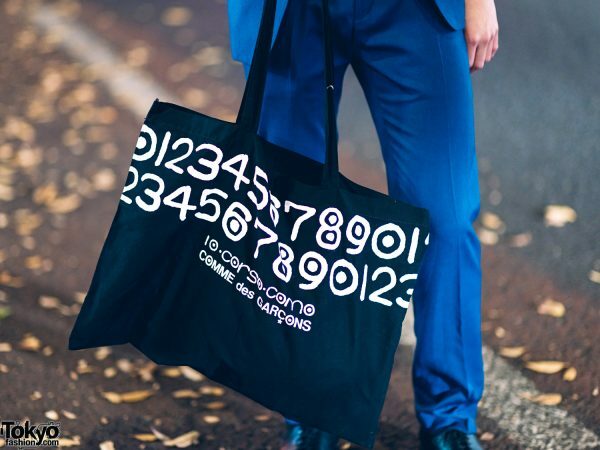 Blue hair and a large black tote bag from Comme des Garçons completed his look. 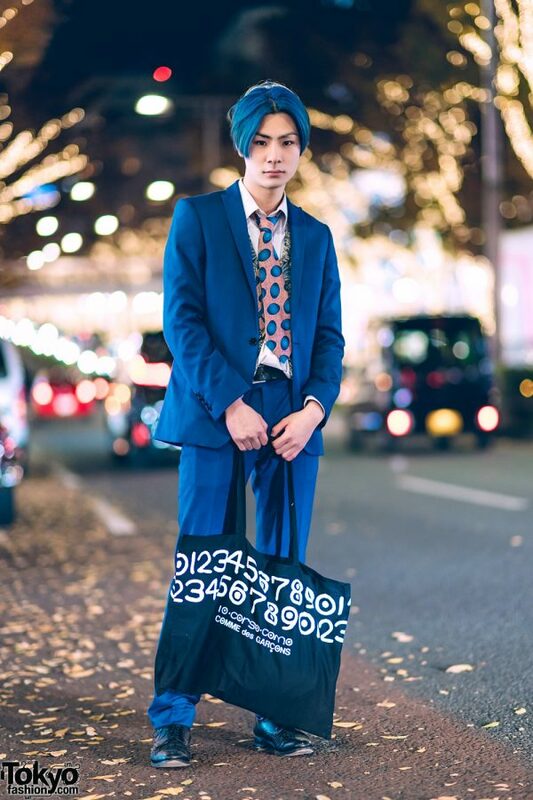 Kosei enjoys listening to music from Red Hot Chili Peppers and posting social media updates on Instagram.